I love outdoor Dinosaur parks. 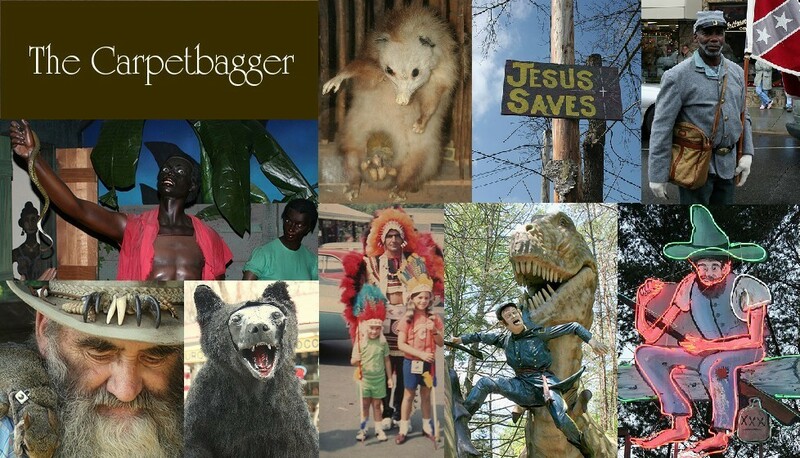 I have been to a variety of such parks across the South. A look at these parks can be found HERE. I have been to the world's largest Dinosaur park: Dinosaur World which is currently abandoned in Beaver, AR. I have been to one of the nation's oldest Dinosaur Parks: Bongoland. 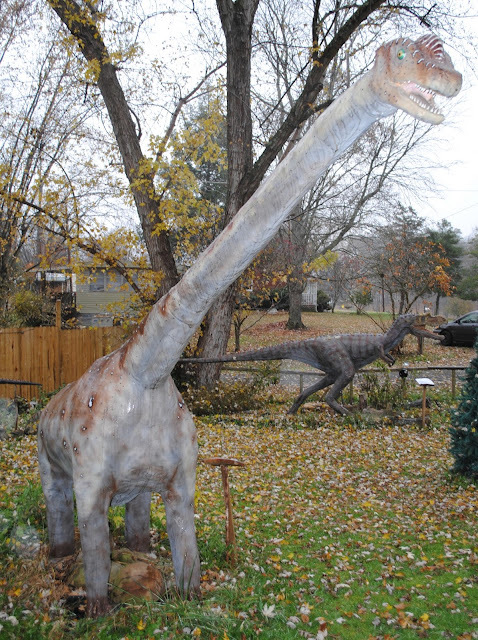 And of course, the super bizzare Dinosaur Kingdom in Natural Bridge, VA deserves a special mention. Recently, I came across an extremely unique Dinosaur Park. 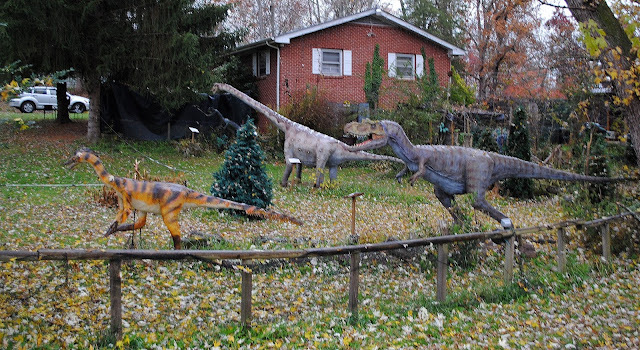 Located in Bluff City, TN, which is literally the middle of nowhere sits Backyard Terror's Dinosaur Park. The name is no lie. The park is literally in some dude's backyard. Don't be deceived by this, however, as these are some of the finest most detailed dinosaurs I have ever seen. While a lot of dinosaur parks have a goofy awkward charm, this place has some extremely well crafted. dinosaurs. Another interesting aspect is that the park works on an honor system. The whole time I was there I never saw another soul. The tour even ends with an impressive animatronic velociraptor display. For a full walk through check out the video below.